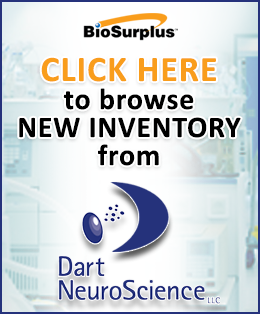 Launch your next research endeavor with equipment from BioSurplus. If you’re ready to take on new research, your equipment is the driving vehicle to discover new solutions. Find repurposed laboratory equipment that compliments your entrepreneurial spirit. Our dedicated team is made up of science professionals just like you, so let us know if you have any questions about the instruments we have ready for you to use. Start your next lab research with quality equipment that inspires science. Put uncertainty and hesitation to rest when you work with BioSurplus. We are 100% committed to a quality product at a fair price. Concierge-level assistance of a team member educated in the sciences throughout the buying and post-sale process. Remove the pressure of an OEM distributor. Every piece of equipment is tested on the way into our warehouse and again before it is shipped or picked up. 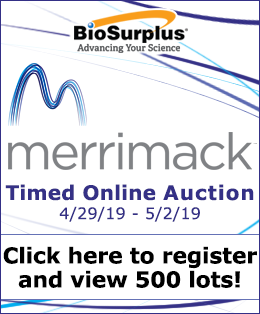 How does BioSurplus acquire lab equipment and offer it at such a great price? Our team works extensively with biotech and large pharma companies to assist in equipment selling to recoup costs. We pass on the benefits to our buyers with industry tested, high-end instruments and systems offered at a fraction of the cost of buying new. BioSurplus also serves as a clearance center for industry leaders such as VWR, offering last year’s model “like new” microscopes at extreme discounts, or Thermo Fisher’s scratch-and-dent liquidation, with a massive inventory of used lab equipment, as long as one doesn’t mind a little chipped paint. Our inventory is located at one of BioSurplus’ showroom and warehouse facilities, and is available to ship anywhere in the world by our professional pack-and-ship team who spends their days guaranteeing that your equipment arrives safely and securely. Rediscover science with our inventory. Take a look through our virtual showroom and use the chat bar to connect with one of our specialists if you have any questions.